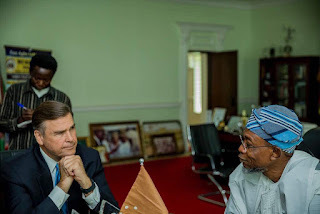 Governor of the State of Osun, Ogbeni Rauf Aregbesola today received the American Ambassador to Nigeria, Amb. 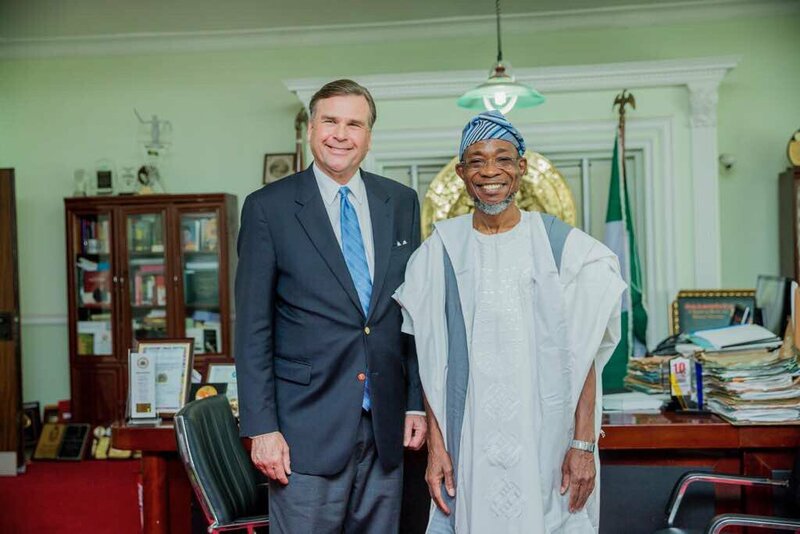 Stuart W. Symington at the Bola Ige House, Osogbo, State of Osun. 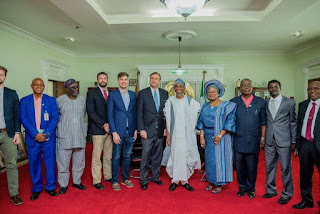 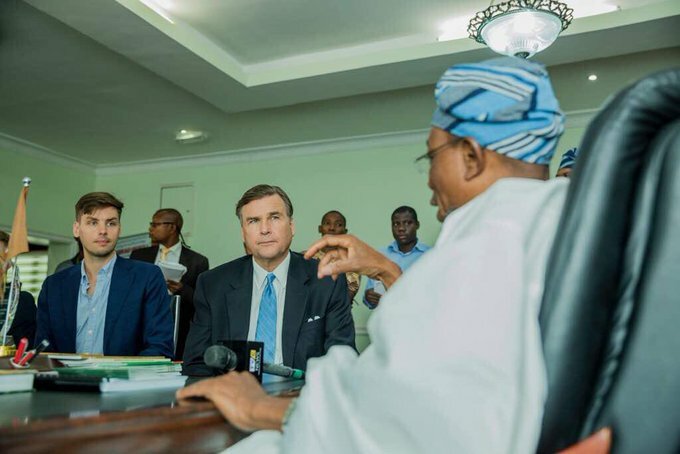 Ambassador Symington who was accompanied by his son, Stuart Symington and two of his aides expressed his heartfelt joy about the current level of development in Osun while he praised the commitment of Governor Rauf Aregbesola.